If you’re a member of our weight loss clinics, you are probably already aware of the importance of consuming lean protein—our bodies need it to build the lean muscle mass that helps increase our calorie burn. In addition, the American Heart Association recommends eating two servings of fish each week to decrease your risk of cardiovascular disease. Since lean protein sources are so critical for weight loss and our overall health, we like to find low-carb recipes to share with all of our members. This recipe for Lemon Garlic Tilapia is a classic, delicious spin on this excellent source of lean protein. The physician at our weight loss clinics recommends fish like Tilapia because it’s a high quality, complete protein—just one 3.5 ounce portion boasts 26 grams of protein! It’s also is a rich source of omega-3 fatty acids, which provides essential nutrients for our health, helps satiate our hunger, boosts brain function and has an array of anti-inflammatory properties. It’s the perfect choice for those following diets and weight loss programs, as it’s naturally low in fat and contains less than 130 calories per each 3.5-ounce serving. Plus, it’s super easy to prepare! Preheat the oven to 400°. Add the extra virgin olive oil to a sauce pan and heat on low flame. Add the garlic and saute for a minute to a minute and a half. Add the lemon juice and turn off the heat. Grease the bottom of a baking dish with a dash of extra virgin olive oil. 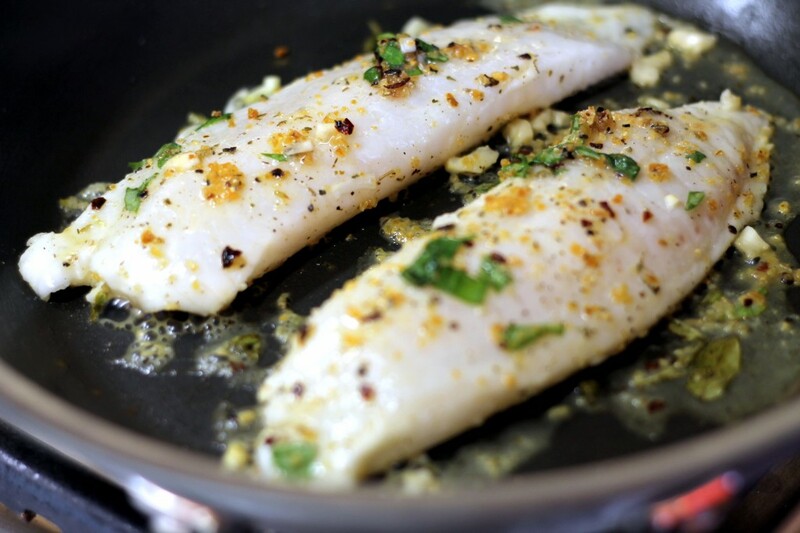 Place the tilapia filets in the dish and season with the Himalayan sea salt and fresh ground pepper. Pour the lemon and garlic mixture on sprinkle the parsley over the filets. Cook for 15 to 17 minutes.